There are many diets out there. For some, it’s a way of dealing with food allergies or other health issues, while for others, a way to achieve certain fitness goals. It doesn’t matter what diet you choose at the beginning of your journey though. As long as you are in a caloric deficit you will lose weight regardless of whether you eat low carb or low fat diet. 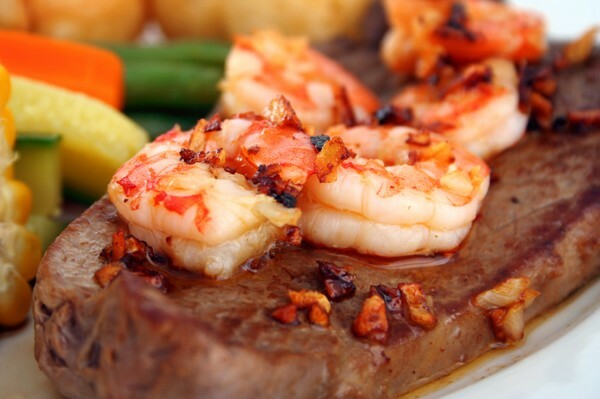 There are a few main and popular diets out there that aren’t crash diets. Choosing a certain diet over a simply well-balanced one must always be an informed decision with a certain purpose though. Any active person needs to eat a balanced diet. There has to be enough protein and carbs and the fats should come from healthy foods. Also fiber is an important part of diet promoting digestion and feeling of satiety. But what is a balanced diet? The recommendations for protein intake don’t consider physical activity while carbs are deemed bad and fattening. So while some are trying to define a well-balanced diet heeding to professional nutritionists’ advice others are trying to invent a super diet that fits their purposes. There is more than one low-carb diet. Low carb intake is considered from 40% to 2% percent of carbs from daily calorie intake. Some go low-carb to burn fat and make their body learn to fuel on fat instead of carbs while others are convinced that low-carb is simply better for weight loss. Research shows that in the long run low-carb diets even out with other diets and aren’t really sustainable as people report more stress and lack of energy when eating few carbs. Low carb diet can benefit people with epilepsy and diabetes as well as those who generally feel better on a low carb diet. It was also scientifically proven that high protein intake was the key to fat loss success and the carb and fat intake did not affect body composition. The nutritionists recommend that carbs accounted for 50% of daily calorie intake and came mainly from fruit and vegetables and whole grains. Paleo is all the rage now. The main principle of this one is to eliminate as many processed foods as possible to make it resemble a caveman diet from the Paleolithic period. While it’s a generally healthy approach the diet can be quite limiting in terms of food choices as it excludes potatoes, dairy, cereal grains, and legumes, including peanuts. This is a great diet for people with gluten and dairy intolerance, although they could just eliminate one group of foods they are intolerant to and eat all the others. The main aspect of not eating processed foods is a great takeaway though. Processed foods include packaged snacks, sauces, and dressings, sugary treats, refined bread and pasta, margarine, various mixes, refined oils, and fast and junk food. This is not to say that all packaged foods are equally bad. Some are minimally processed (washed, cut, bagged) for convenience so make sure to read ingredient lists for spotting bad preservatives like BHA, BHT, sulfites, and sodium nitrite, which you can find in butter, cereal, snacks, meats, pastry, dehydrated potatoes, gum, beer, wine, sausages, ham, bacon, hot dogs, smoked fish, and other foods. It’s also a good idea to keep an eye for added sugar and artificial sweeteners, high fructose corn syrup, flavour enhancing monosodium glutamate, hydrogenated and partially hydrogenated oils such as palm oil, for example, as some these ingredients have been linked to cancer, while others have shown to cause hormone balance disruption, bad metabolislm, increased risk of type 2 diebetes, and lesser but still annoying side effects like nausea, diarrhea, cramps, weakness, and headaches. Based on a theory of hormonal balance the Zone Diet promotes the balanced intake of carbs, proteins, and fats. The diet macro ratio looks like this: 40% carbs, 30% protein, 30% fat. Protein must be low-fat (skinless chicken, turkey, fish) while the fats must be healthy like almonds, avocados, and olive oil. Although Zone diet does not ban foods completely, red meats and egg yolks get a bad rap, while sweet fruit and veg like carrots, bananas, and corn are suggested to be consumed in limited amounts. The food is measured in blocks making sure all of the macronutrients are well-balanced for best hormonal response. 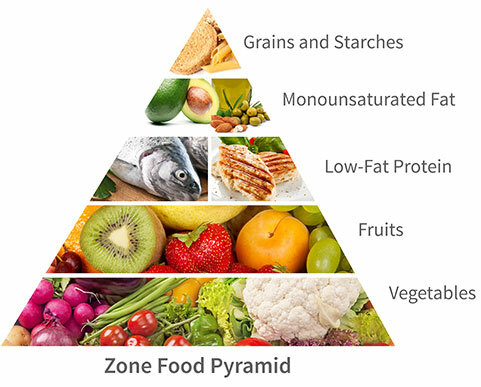 Zone Diet is a preferred choice for CrossFit athletes along with Paleo diet. Remember, that in the beginning it won’t matter what kind of a diet you choose to follow. If you are an active individual you’d want to eat from 1.2 to 1.8 gr per kg of body weight getting the rest of your calories from quality carbs and fats while being in a caloric deficit. The best diet for someone who just want an optimal, well-balanced yet flexible option we suggest to figure out your protein and calorie needs and design a diet plan for yourself taking into account your goals, health issues, and preferrences. You can do so either by visiting a certified nutritionist or using general nutritional guidelines with adjustments to your situation. This entry was posted in Nutrition and tagged diet, low-carb diet, paleo diet, zone diet. Bookmark the permalink. Where Is The Link Between Strong Bones And Exercise?